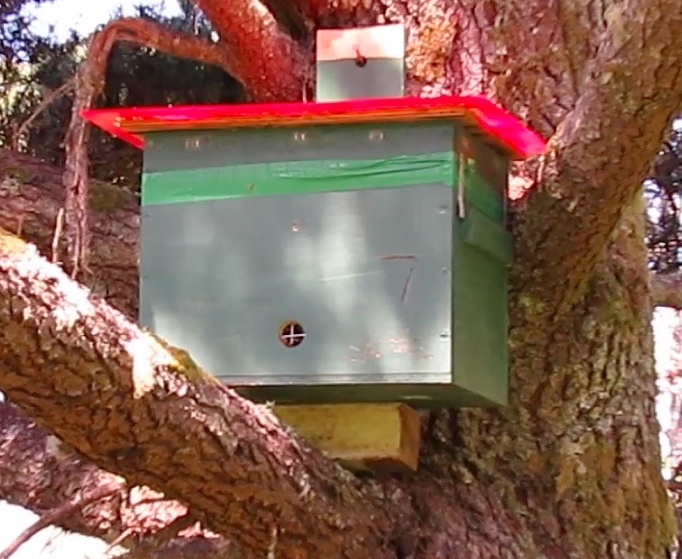 Lucky number 7…I caught bees in this bait box last year, so it was a good choice to use. 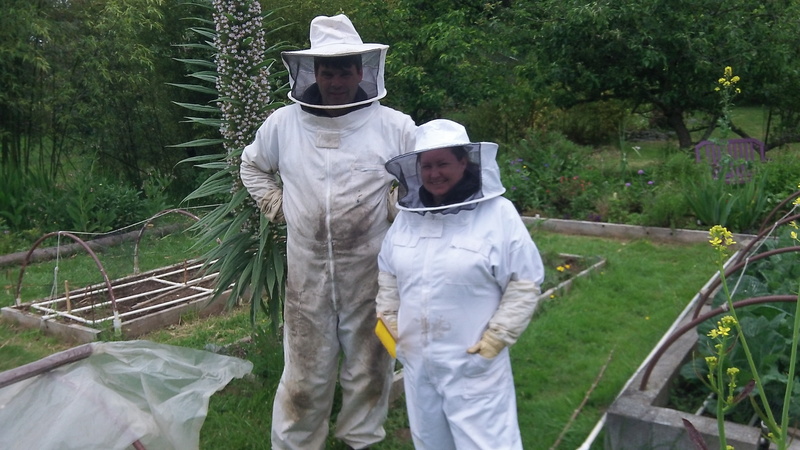 Yesterday I caught a swarm from Bee Beard Log hive and put it into my back-up Warre. 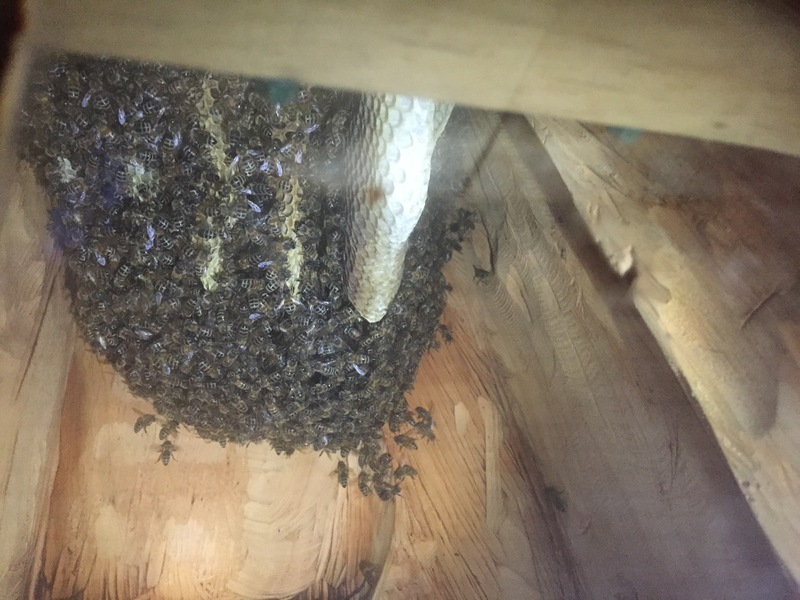 I thought I had some time to finish my second log hive before another swarm would take place. Not so. On April 18 two more swarms came out. 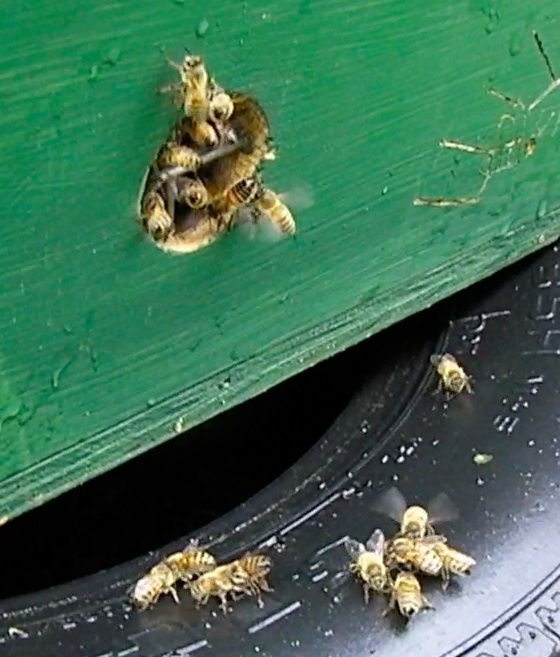 These are cast swarms…more than likely the queen has not been mated yet. What to do? I had already used my back-up Warre and there were some work responsibilities staring me in the face…deadlines that couldn’t be put off any longer because “people are depending on you, Pat!” Okay, I’ll get the deadlines done first and get the bees figured out in the morning…it rained all night. My wife suggested I adapt a bait box. 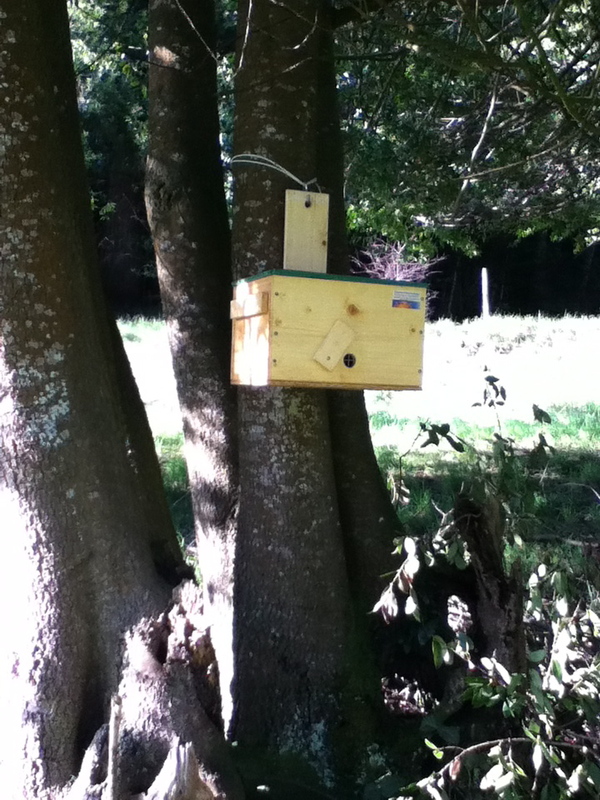 Last year after reading McCartney Taylor’s book on swarm bait hives, I had built nine swarm bait boxes and placed them in different spots hoping to attract a swarm. I was successful in two of them. 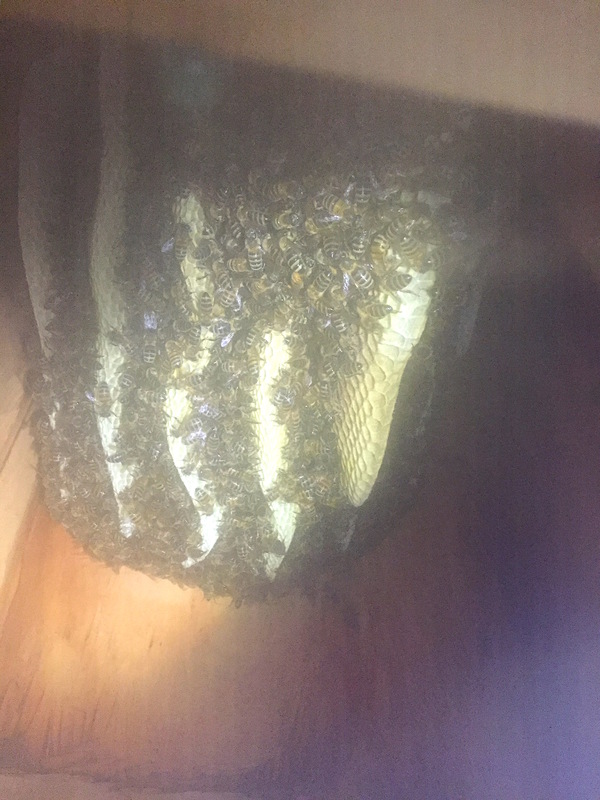 One I gave away and lucky number 7 went into my new log hive. 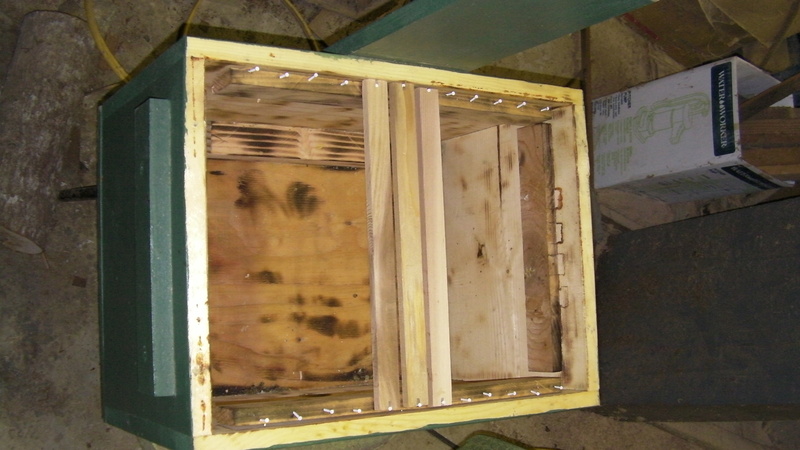 Three waxed top bars installed into former swarm bait box after scorching the inside. 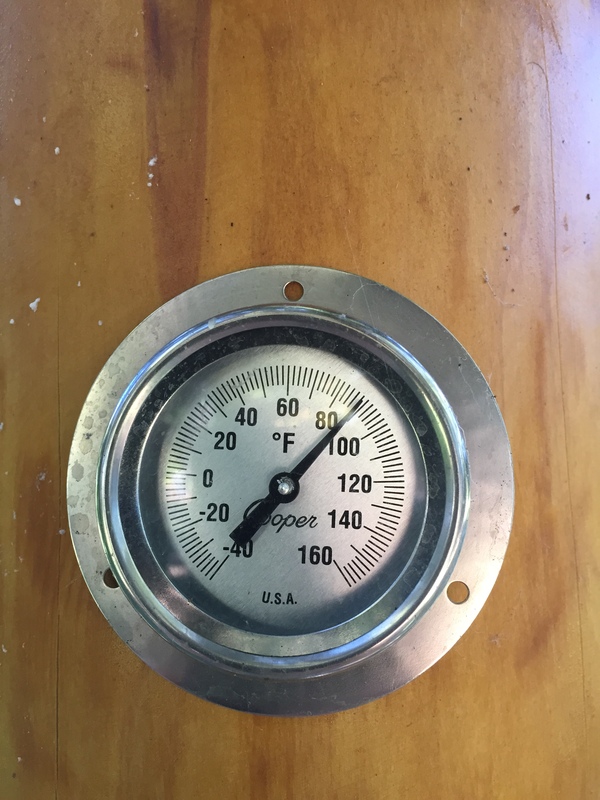 The above picture shows only three top bars. 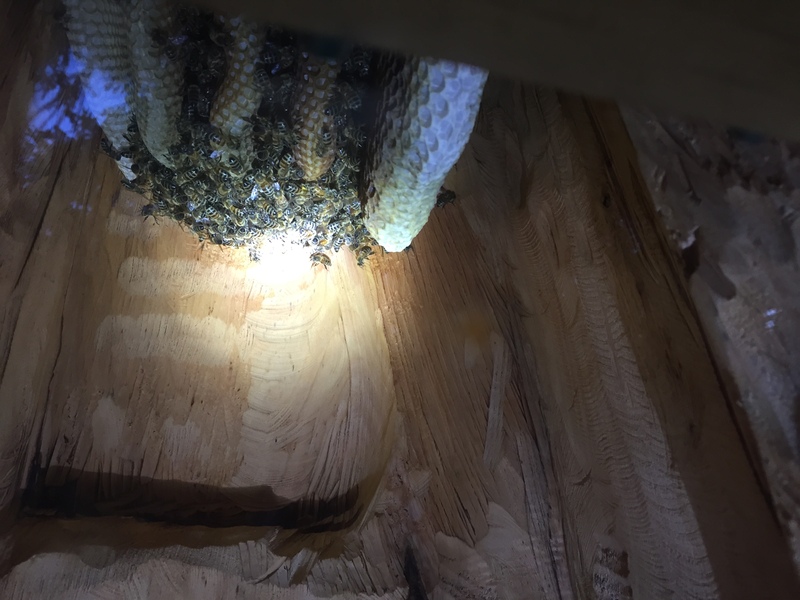 I added a total of 12 because I wasn’t sure when I’d get another Warre and at the time I wanted to be able to add these bees to my next log hive if I ever get it done. 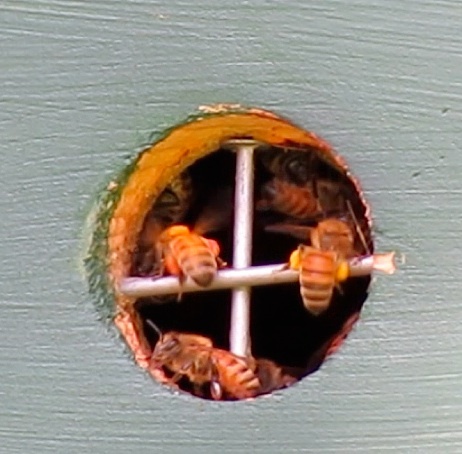 I also tapped some panel nails in to keep the bars from sliding when I tilt hive with bees into the tree. The bars have a slot for the nails, so they will lift out easily. 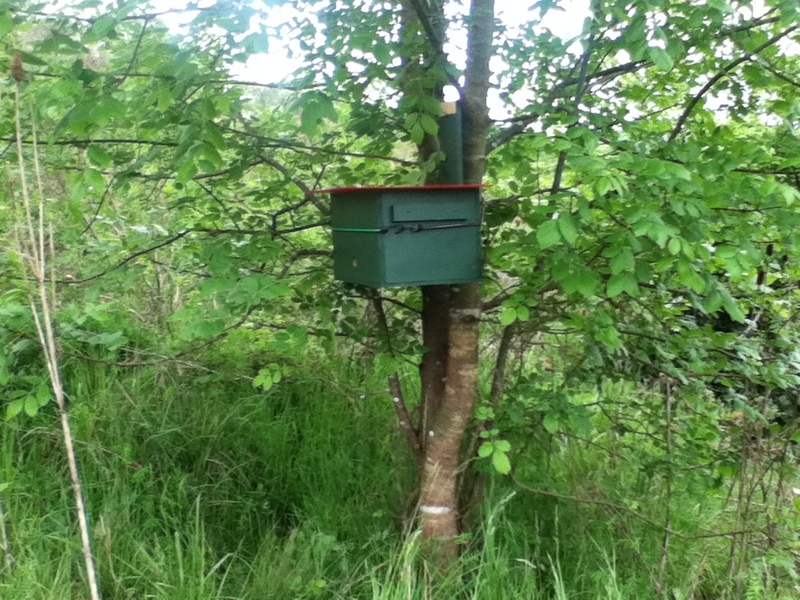 I like the idea of a ‘quilt box,’ so I cut another bait hive down to make one. Hardware cloth on the bottom keeps the burlap ‘quilt’ from getting glued to the bars. 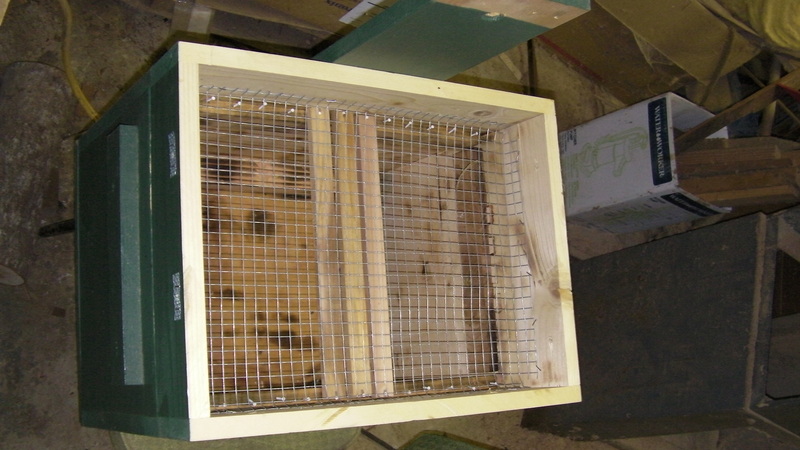 That way the sawdust won’t spill into the brood box. I drilled several holes into the quilt box covering them with screen. 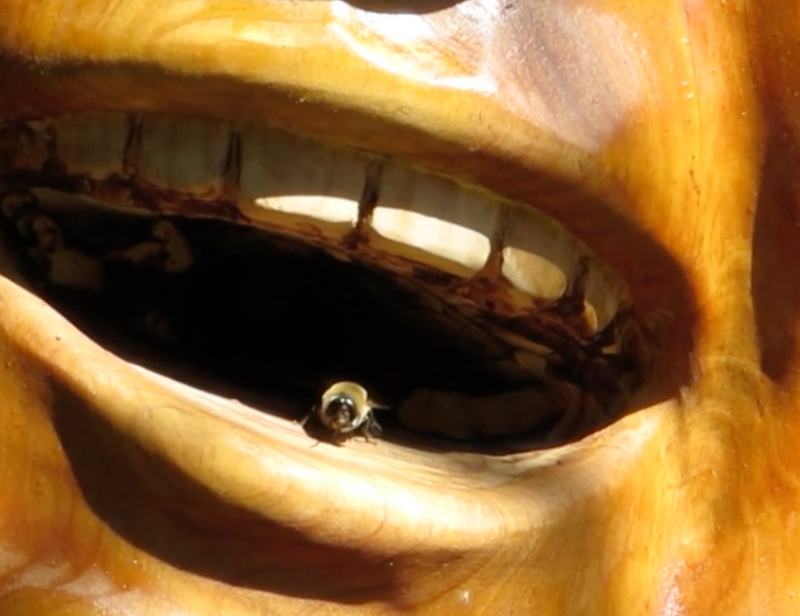 That way the hive can breathe and keep the hive scent. 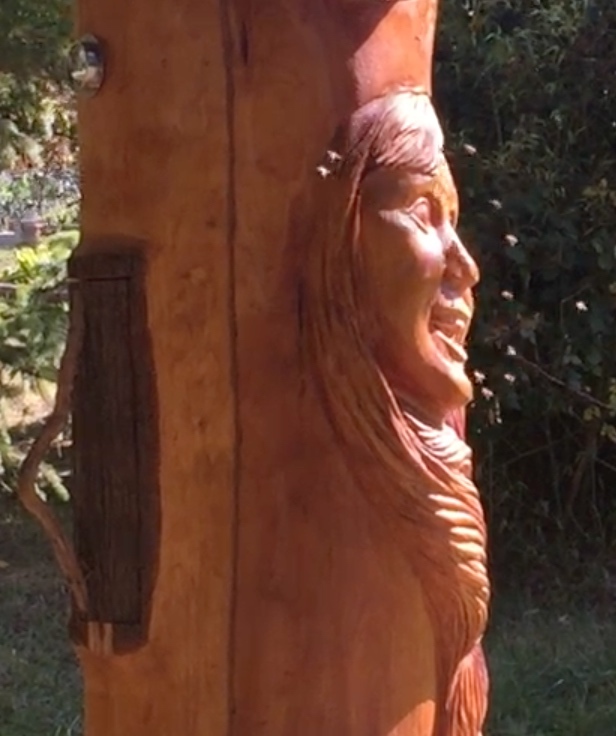 I used myrtlewood sawdust for two reasons…feral bees live in myrtlewood trees and I had a lot of it left over from hollowing out my next log hive. 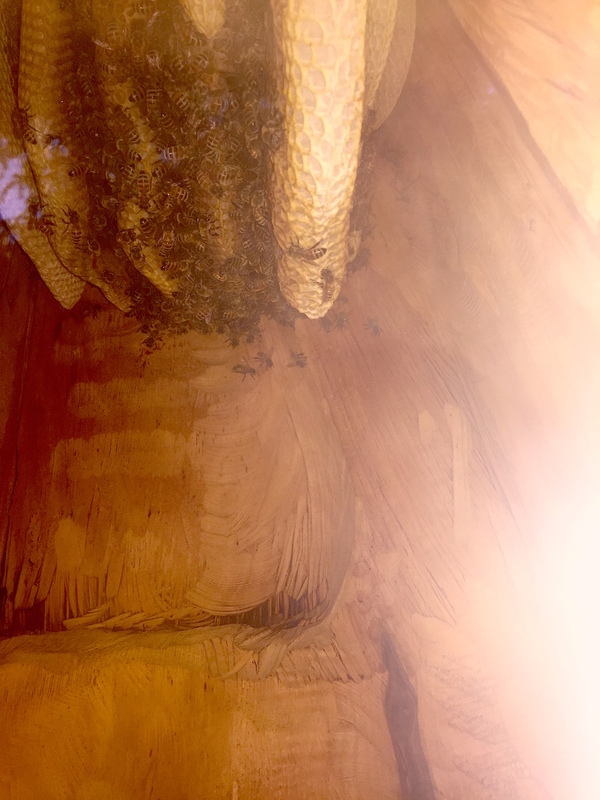 Actually some of my bees came from a feral hive in a myrtlewood tree last year. 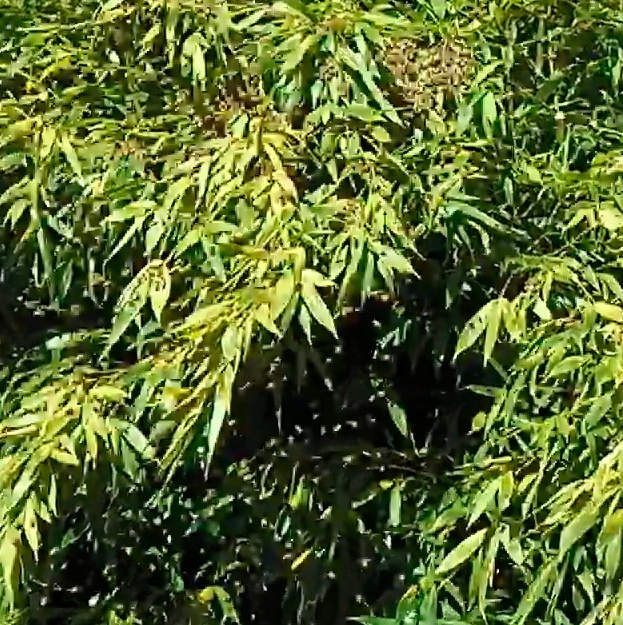 I’m beginning to think bamboo is the ideal swarm catcher…this is the fourth swarm to land in it. 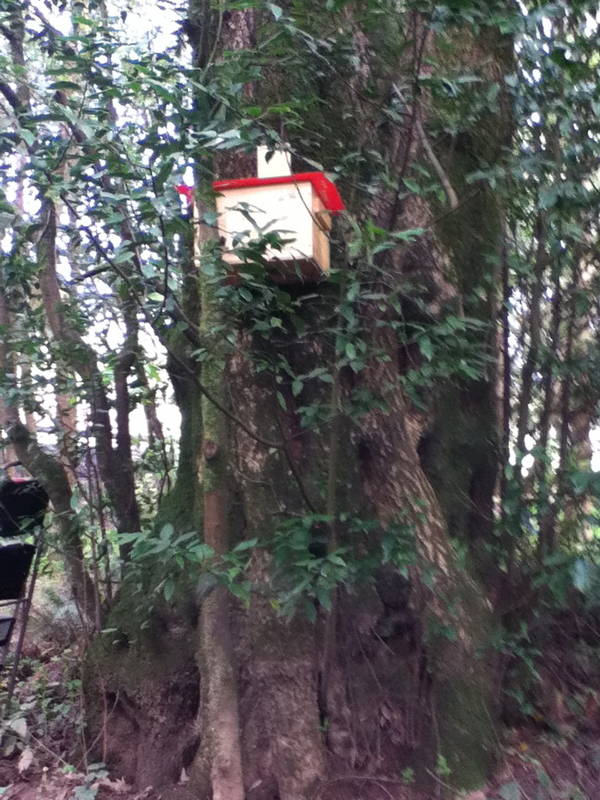 After bending branches and snipping them, we managed to get the majority of bees into the box. Day 5, they’re bringing back pollen already…a sign of a laying queen. A short video of swarm activity. The main video that shows us getting the swarm in the box has disappeared due to Pat’s incompetence. Randy seems to know all the bee trees in the county. 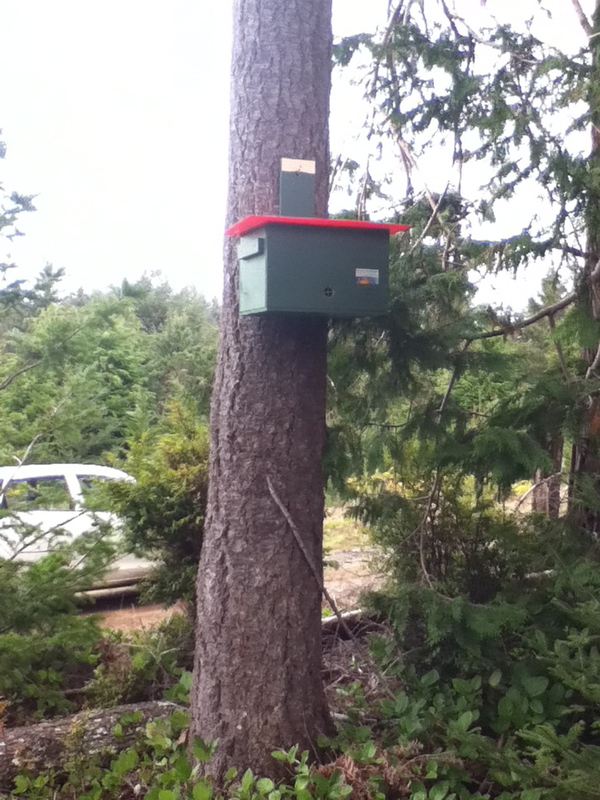 I asked him if he thought hanging a bait hive up a certain logging road would be permissible with the owners. He said “There’s no bees up there. What you ought to do, is hang it at (a not to be disclosed) wayside. There’s a bee tree there.” Deep in the middle of a shaded grove of Myrtlewood trees was a bee tree. It was spotted by a picnicker who was interested in what I was doing. About 20-25 feet (6-8 meters) up was a bunch of bee activity. 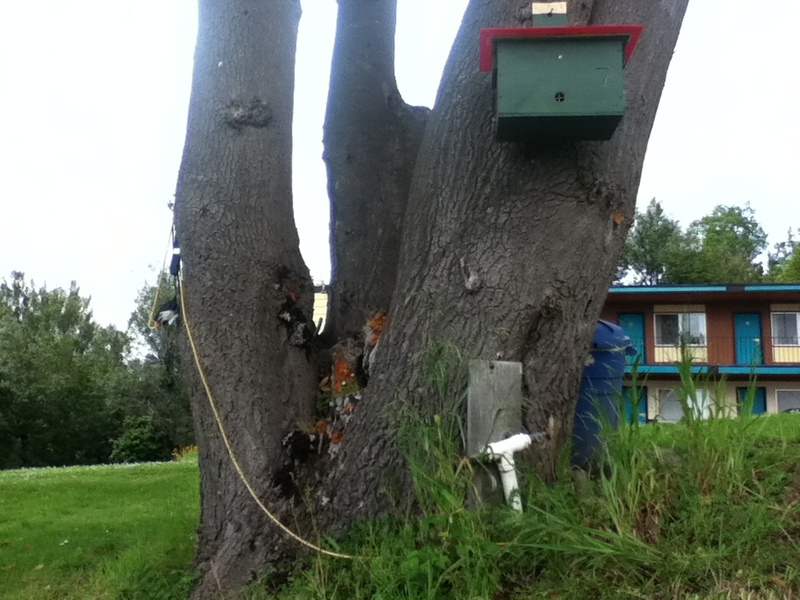 I chose a tree about 50 feet (15 meters) away facing the river to hang the bait hive after baiting it with old comb and LGO. The family of picnickers and their kids were excited to learn the plight of the bees and what backyard beekeepers are doing to help out. It’s not as pretty as Bernhard Zaunreiter‘s, but hopefully it’ll do the job. All of a sudden it’s time to get serious about this. I built most of the bait hives in February. 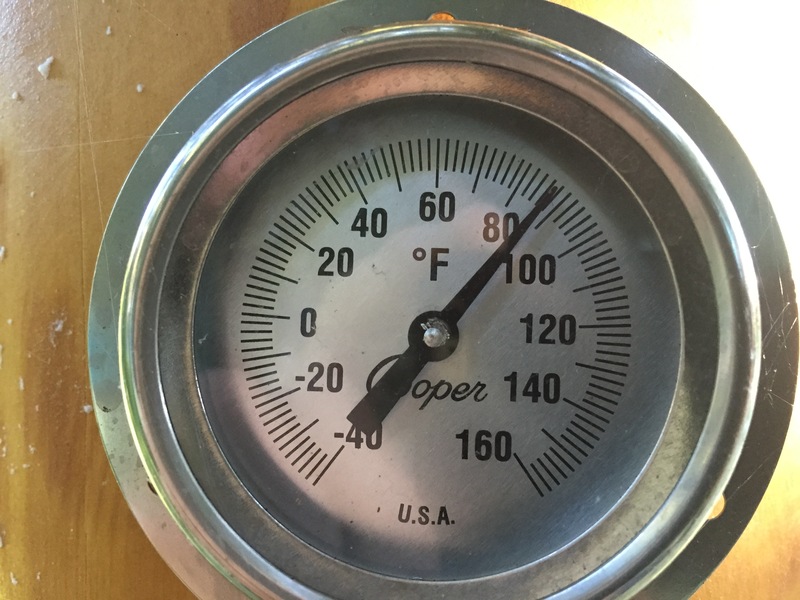 April and May are the best months on the Oregon Coast. I don’t want to start too late because I’ll be advised to feed the bees and I DON’T want to do that. This one is not as high as I would like, but it’s a start. 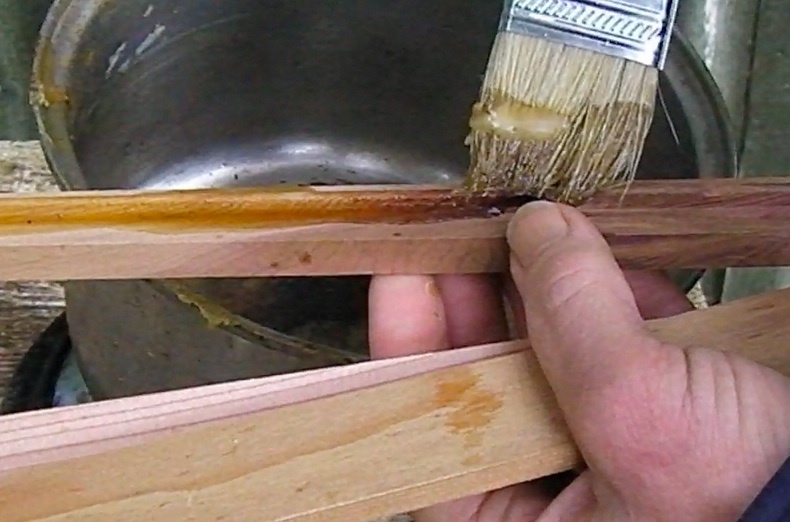 I’m using old brood comb from last year, some melted pine sap, and Lemon Grass Oil. 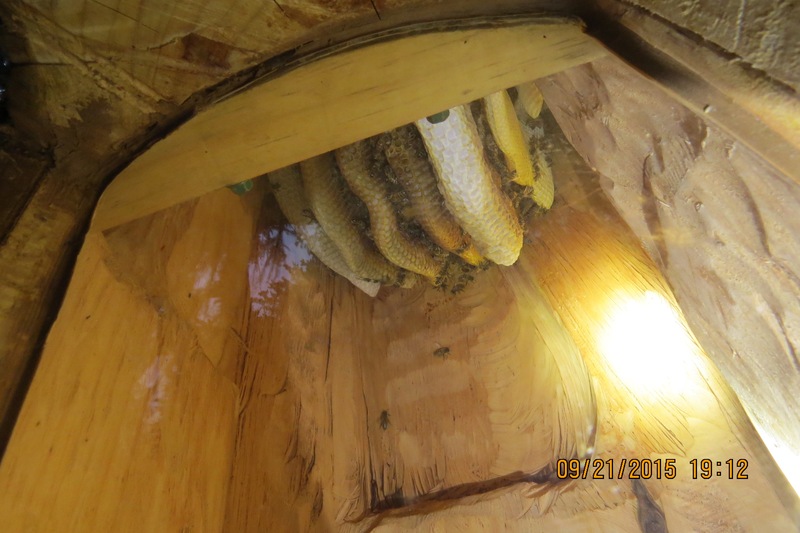 I’ll check it in a week and daub some more LGO on the outside of the hive. I used a ladder with this one and got a little higher. 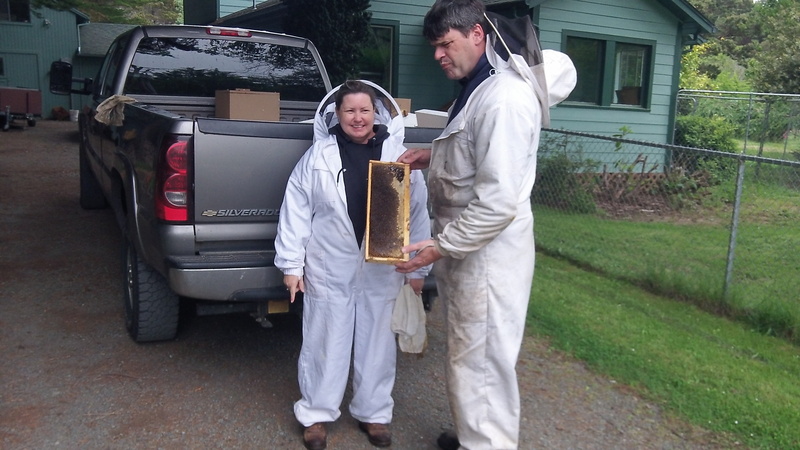 This one has top bars that fit a Warre Hive. It’s located within walking distance of my house so I can check on it more often. 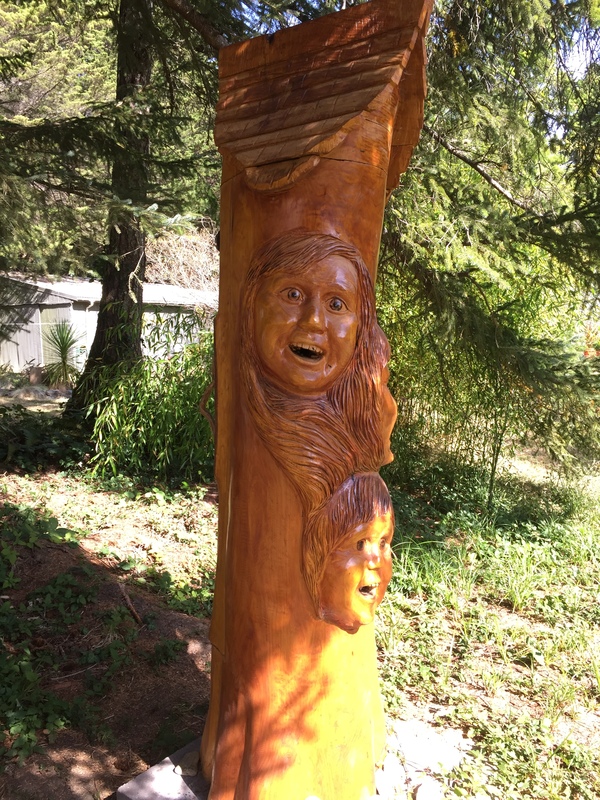 It’s located near a creek in a stand of firs and cedars.